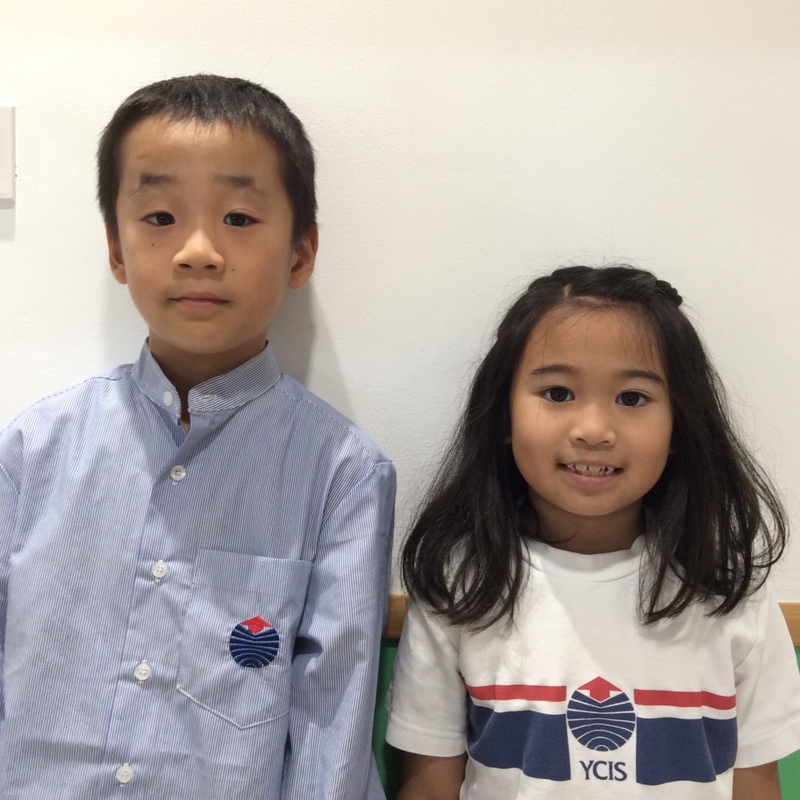 The first ever YCIS Student Global Child Award winner was chosen this month. Tim Sanders from Y5A received his award at the Founder’s Day Assembly on Friday, October 14th. 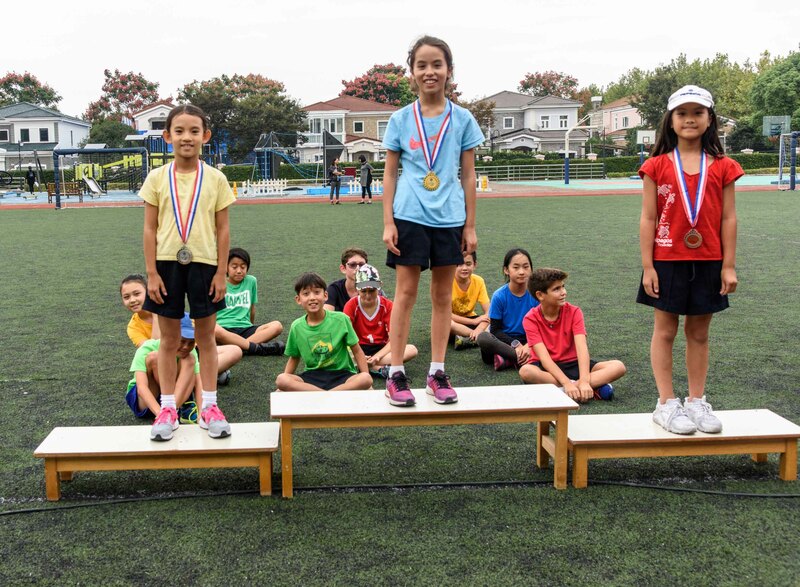 In line with our focus on the UN Global Goals this year, winners who will display the YCIS Philosophy and Objectives in their daily lives, specifically behaving and taking action in ways that help others. Examples of this are helping classmates, the school, or the wider community in special or out of the ordinary ways. All students can be considered for this award, and it can be given to individuals, groups of students or even a class or year level. Will this award be given through out the year? Yes! Five awards will be given every academic year. What did Tim do to win this award?? Tim has displayed leadership, citizenship and kindness when the school hosted the WILL Foundation children visiting during Kids’ Night In. He went above and beyond what was expected as a host by making sure that the students felt included and by helping them out in every way that he could. “I just like helping and having fun,” said Tim. 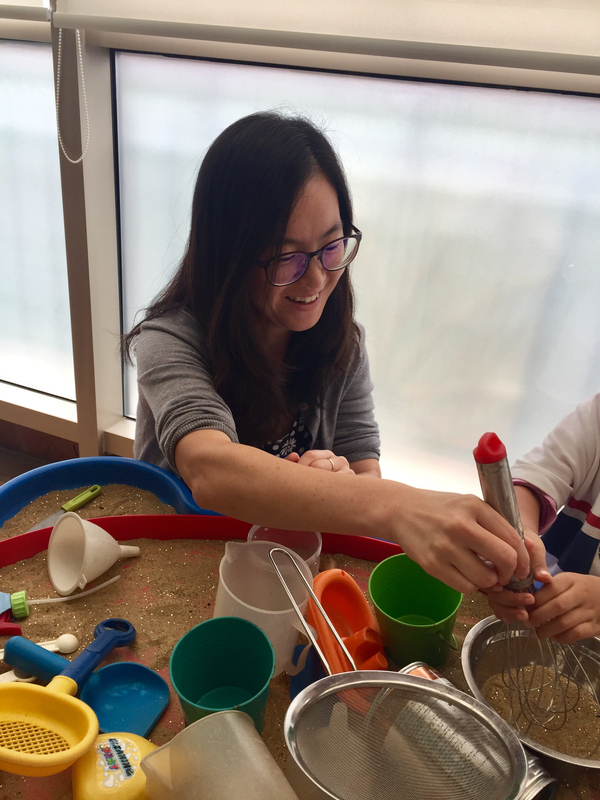 This year, a new position has been created to enhance the diversity and the multi-functionality of the ECE professional teaching team: ECE Student Support Teacher. The aim of this position is to provide additional support for children, teachers and parents in all aspects of the Early Childhood programme. Sil Lee moved to Shanghai from Taipei, Taiwan where she had been working as a Learning Support Teacher from Nursery to Year 6 for eight years in an international school. 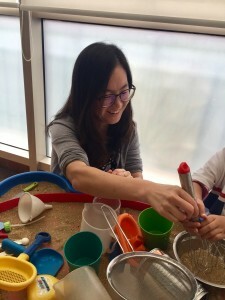 She holds a Masters degree in Early Childhood General Education and Early Childhood Special Education in Syracuse University in New York State (USA) and worked as an Early Childhood Special Education Consultant for San Francisco Unified School District. 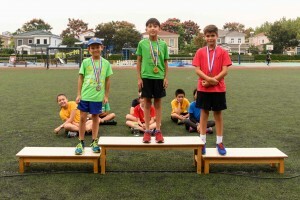 She is also a mom of two boys (in Year 5 and K4 at YCIS). Let’s meet her directly! 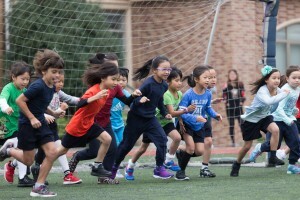 According to specialists in Learning Support in Shanghai, your profile is extremely demanding and your Korean language background makes you even more unique! Why did you choose to study Early Childhood Special Education? 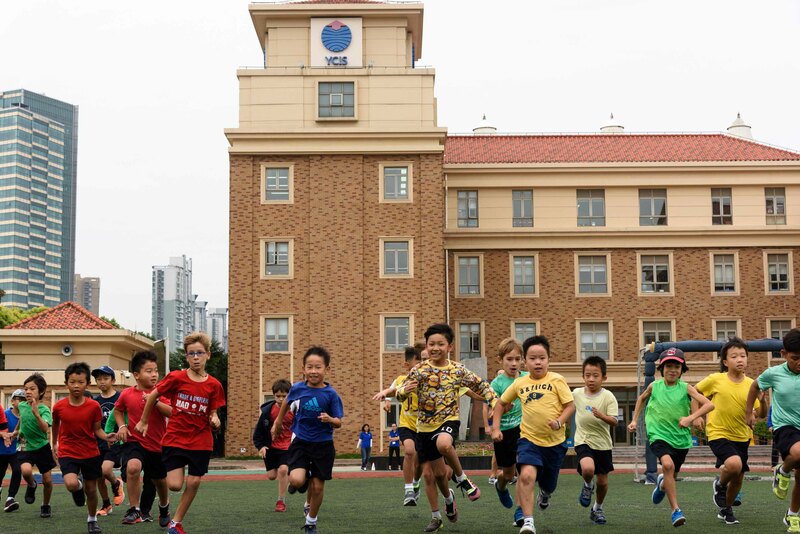 I have always been interested in education and as I was doing my student teaching for my Bachelor’s in Spanish teaching for High School students in Seoul, Korea, I realized that students having difficulties in learning had actually accumulated their gaps across their learning journey. 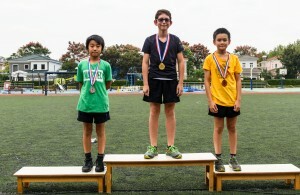 I thought that if they were helped when they were small, they might have had different learning experiences and have had a higher chance at reaching their full potential. That is why I decided to learn more about Early Childhood Special Education. Early Years are a magical time of learning and growth. Every child is unique, special and full of possibilities. I’m privileged to work with young children not only because I get to help them, but also they teach me a lot! What made you move to Shanghai? Why did you choose to join YCIS? My husband has been working in China for almost 3 years now, and I wanted to join him this year. 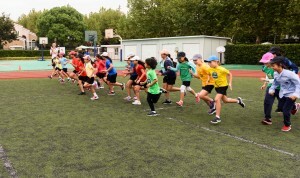 Initially, as I don’t like change much, I was reluctant to relocate; however, I find myself enjoying the diversity, beautiful scenery and rich culture Shanghai offers. 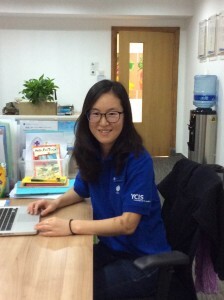 I am also lucky to be working at YCIS with wonderful young children and amazing, fully committed colleagues. What does your role consist in? My primary responsibility is to provide support to students, teachers and parents. 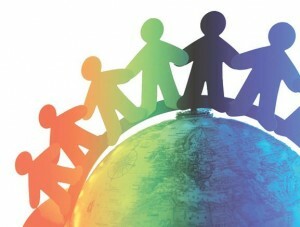 I work with children who need extra support in their development, learning English language or extending their skills. Also, I often meet with parents and teachers to listen to them and provide any strategies or help where needed. 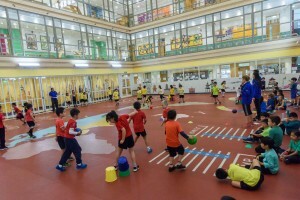 They vary depending on the needs of the students. 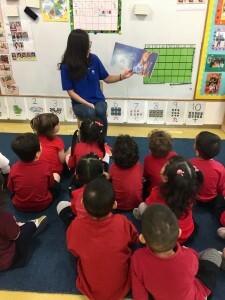 I share specific techniques or strategies with teachers and parents when needs arise. I am also planning for a parent workshop in the second semester regarding ‘Developing pre-literacy skills.’ If you are interested in the topic, please watch this space! Some of the most difficult moments are when I have to tell a parent that their child is experiencing difficulties. 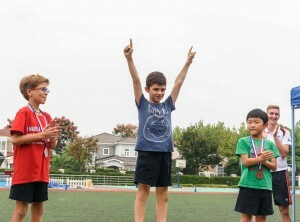 I, also as a parent, know how hard it is to hear and accept when someone tells you that your child is not “perfect.” However, I need to remind myself and the parents it is okay to be different and to have different needs. What is important is to recognize their strengths and build on them. When you work with children, every moment is rewarding! 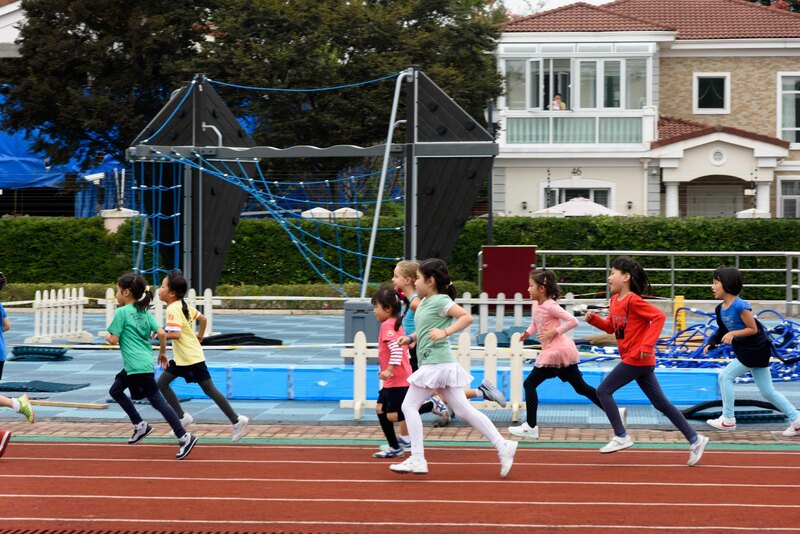 It is magical when you see children light up when they found something interesting, when they tried something new and finally did it by themselves, or simply when I watch them indulge in their play and develop important life skills while having fun. 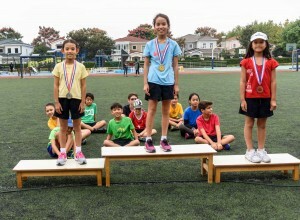 Any advice you would like to share with our parents? Every child is unique and different. They all have their own strengths, interests, and needs. Allow them to grow at their own pace and in their own way, but support and encourage them when they need you. 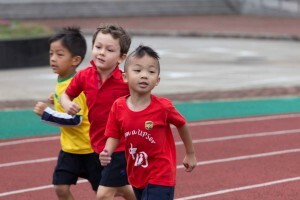 Parent involvement plays a very important role in your child’s education. A parent being at school and involved, tells a child that you value his or her school and education, and it is worthy of your time and energy. 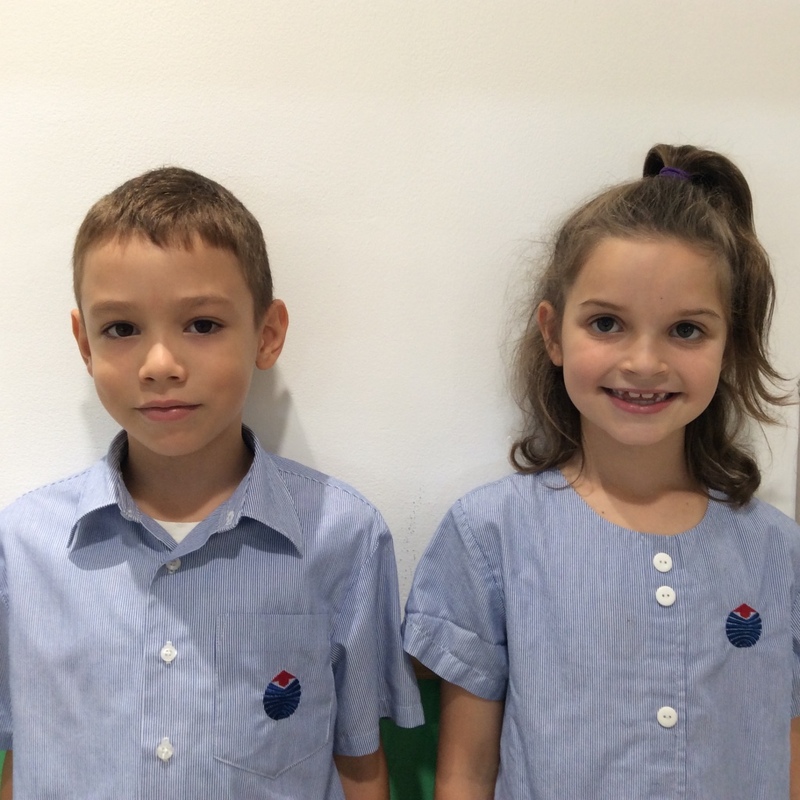 Parents who are involved in the school have a chance to work with their child’s peers and be a part of the learning environment. 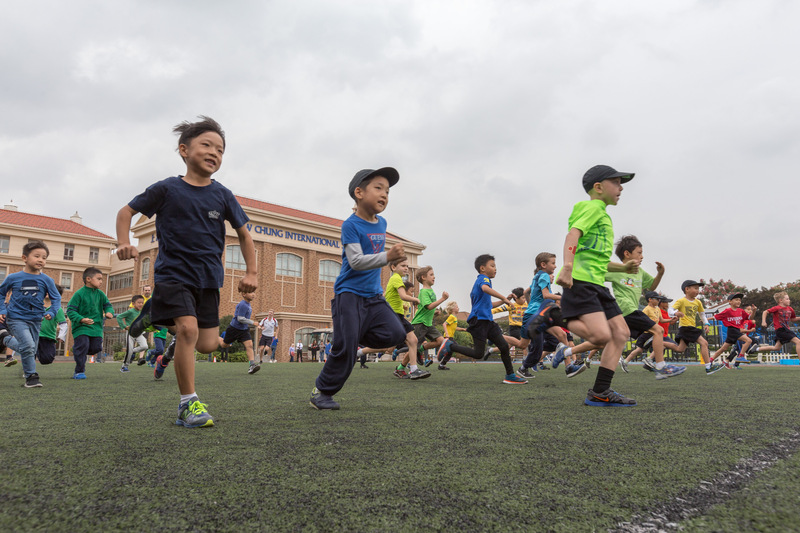 The whole school is the beneficiary of involved, passionate and committed parents. 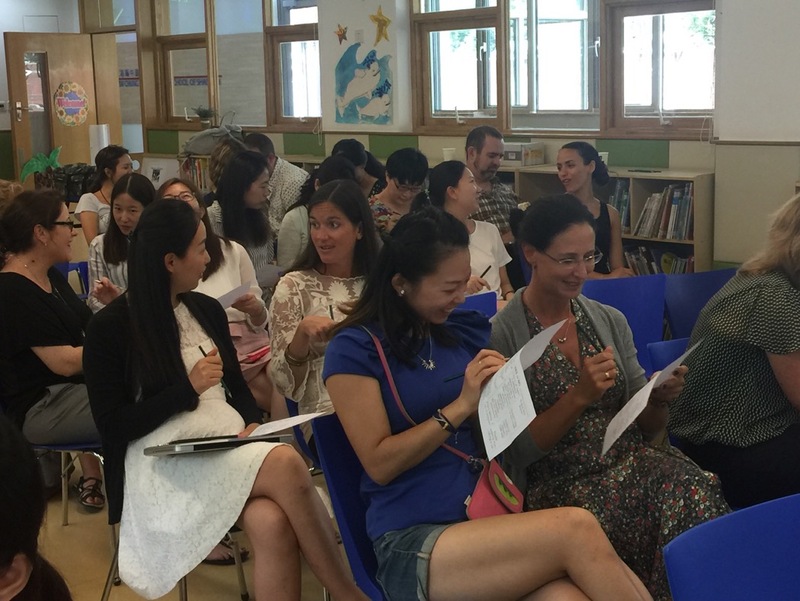 Let’s see some incredible contributions YCIS parents have made since the beginning of the school year! 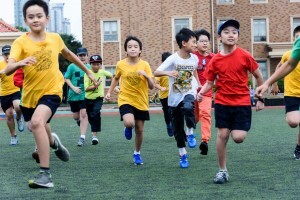 Making the best of our school community’s resources can be very beneficial to the students. 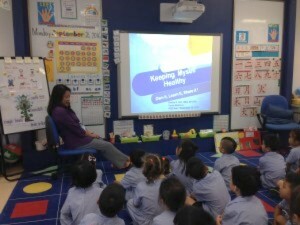 The Year 1 teachers invited in a number of specialists to talk to the children about healthy living. In line with the theme of the incursion “Learn It, Own It, Share It”, the Y1 teachers invited Miss Zoe, YCIS School Counselor, Mr Lennart, Primary Sports and Co-Curricular Coordinator, Dr. Anusha Shetty from New York Dental and Ms Shih, Nurse Practitioner and parent at YCIS. 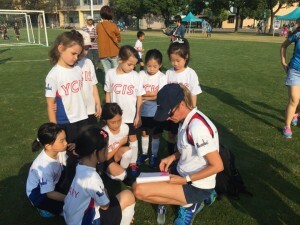 With the increase in the number of sporting teams representing YCIS, parents offering their time and help as coaches for sport teams has become very important and appreciated! 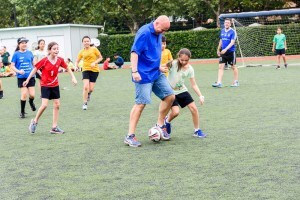 My daughter did not know anything about football and after participating in tournaments against other schools, she was able to experiment with different positions and found out where she felt most comfortable. 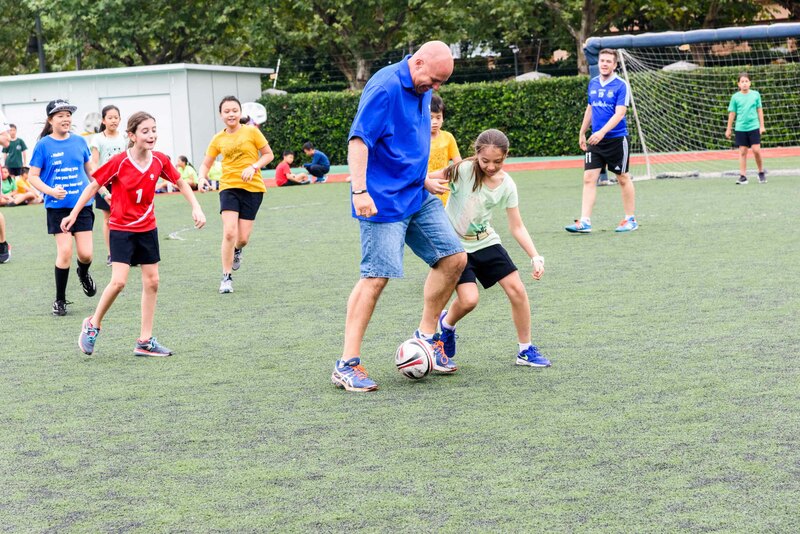 And this was thanks to her coach who encouraged and motivated the children to try out different roles on the field. The great success of the camp out this weekend with all Girl Scout families is a result of parents’ support and participation and the strong commitment from Moms who are dedicating some of their time to prepare the meetings and activities. “I did not expect that everything worked that well. 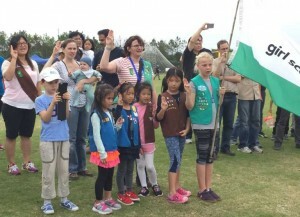 It was the first time I felt like a big Girls Scouts family. On that camp-out, moms helped with activities and preparing breakfast while dads got involved for the barbecue dinner. 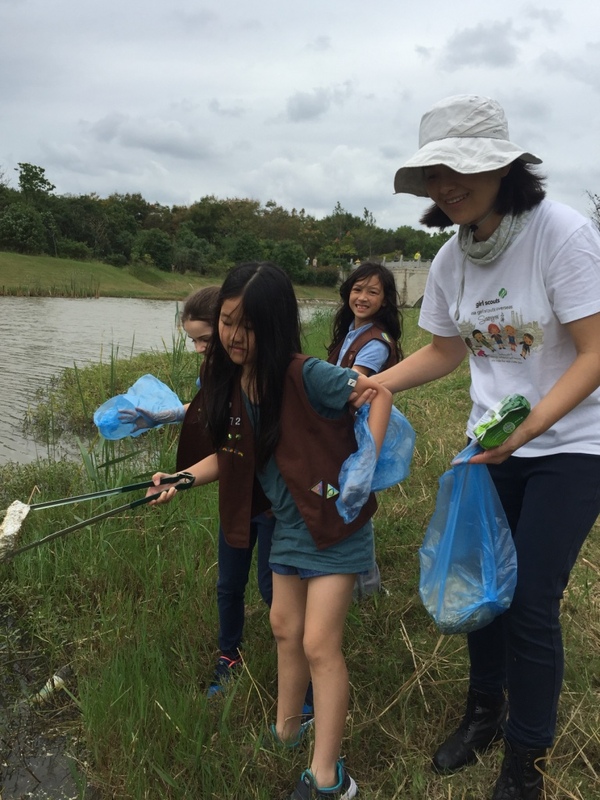 Almost all parents participated but the most interesting part is that by contributing, everyone felt part of the same community and had a lot fun!” Jutta Petznick, Girls Scout Coordinator and Y5 parent. Children’s personal and learning development are at the center of all our interest as parents, as teachers, and as a whole school. We would like to say a special thanks to all parents that have dedicated their time for and we hope that more will join the team to create a more balanced and fulfilling environment in our school community! 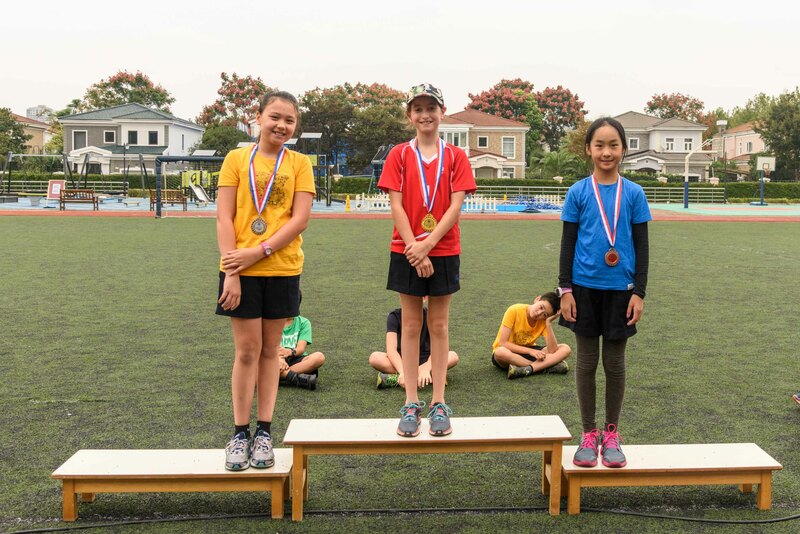 It gives us great pleasure to announce that several of our students have been recognized with top awards by Cambridge for their recent IGCSE results. 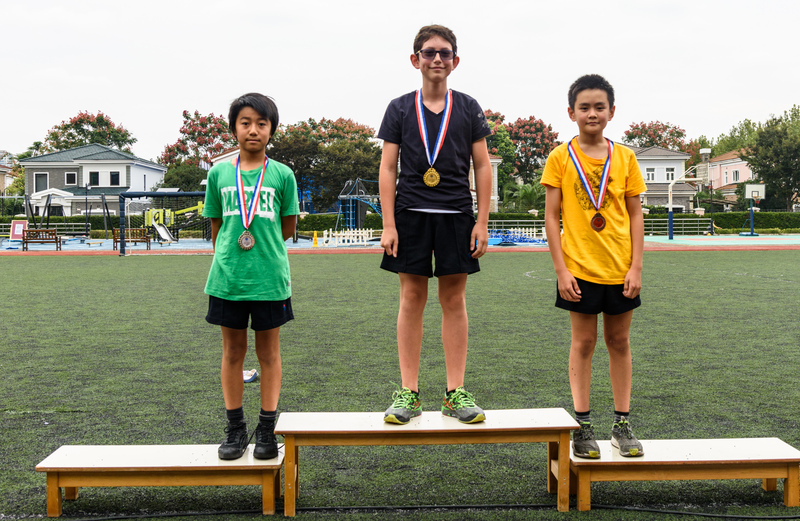 These are National and International awards for outstanding academic achievements, and the prizes will be given at an awards ceremony in December. 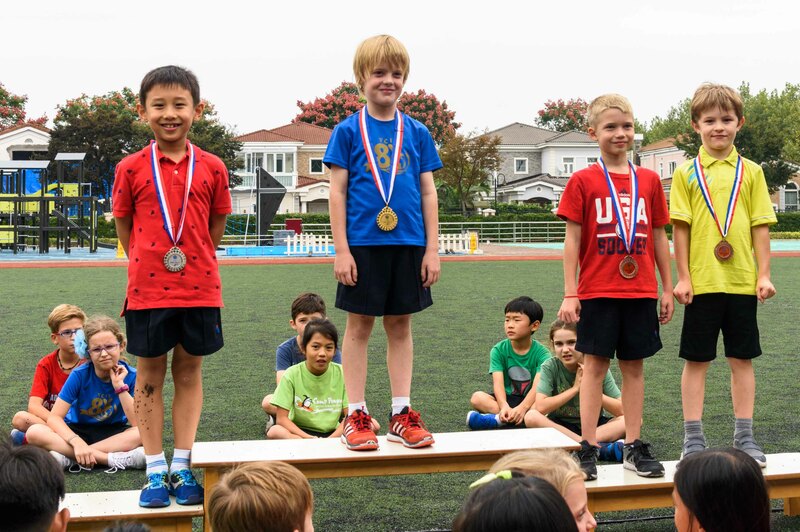 Kenneth Tng, who came 1st in the World for IGCSE Foreign Language Mandarin (with a 100% score) and is the recipient of the ‘Top in the World’ award. 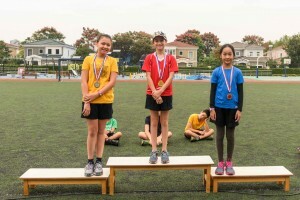 Anna Xie, who came 1st in China for both First Language English and World Literature. 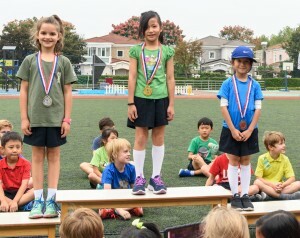 Thus, she is the recipient of two awards for her incredible performance in these subjects. Additionally, she had the 4th highest score for World Literature in the World. 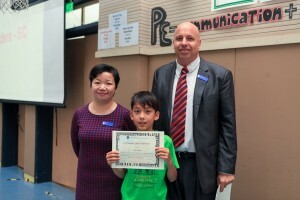 Lorenzo Cavalleri, who has been awarded a High Achievement Award for IGCSE Foreign Language in Italian. 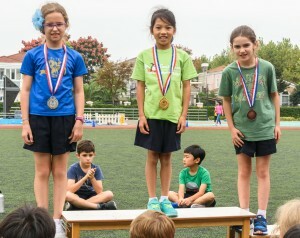 We’d like to offer special congratulations to the English Department as this is the 4th year in a row that they have had the top scoring student in China for English and / or World Literature, and the 2nd time in the past 3 years that YCIS CP has had the top scoring student in China for First Language English. 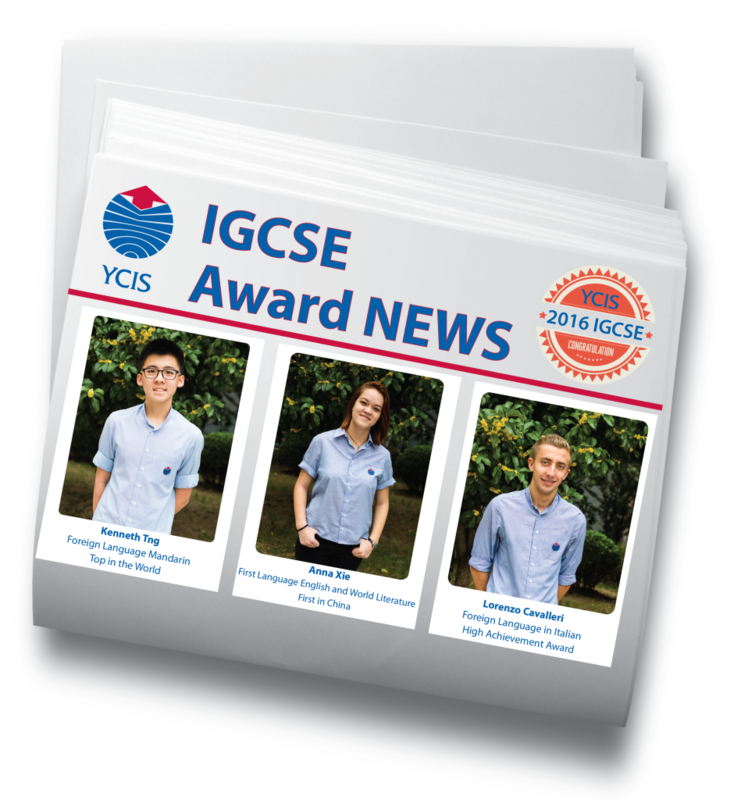 We are very proud of all our student achievements at the IGCSE level. 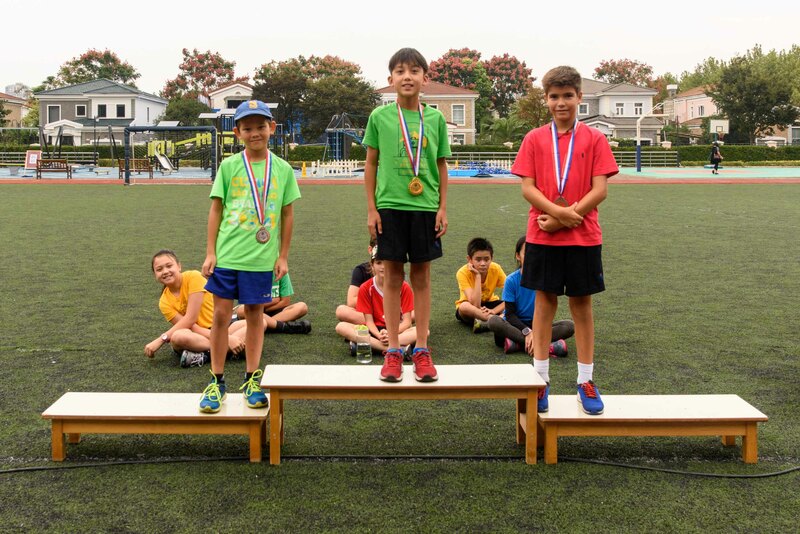 While the focus of this article is on these three high achieving students, it is worth noting that many of our IGCSE students reached their personal best and were too very successful in their exam performance, even if not specifically recognized by the exam board. We hope you will join us all in recognising our student achievements and the great support given by our Secondary teachers. 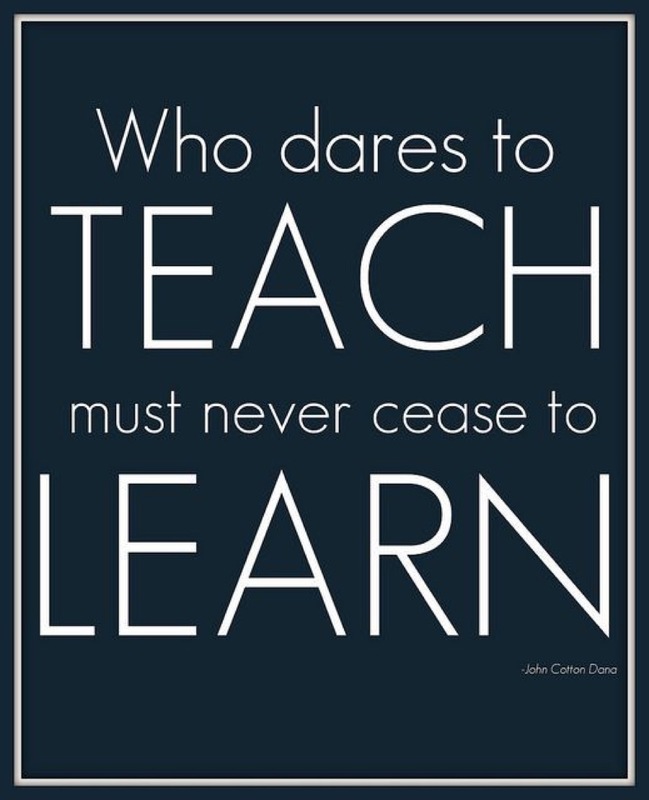 Teachers throughout ECE and Primary at YCIS couldn’t agree more with this quote. 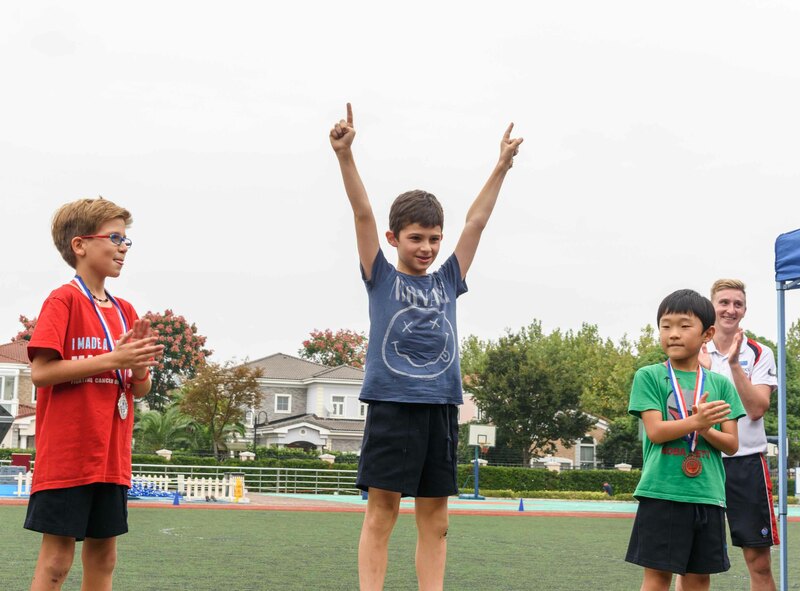 We recognise the importance for all educators to keep up-to-date with current research and trends in teaching and learning, seeking continual improvement in their own teaching practices to benefit the learning for all students. Your child may come home one afternoon and inform you that their class teacher was not at school for the day because they had to go ‘back to school for training!’ It is important to remember that we want to instill in our children the love of learning and there is no better way than to model this behaviour ourselves, showing children that no matter what age, we should always be learners! 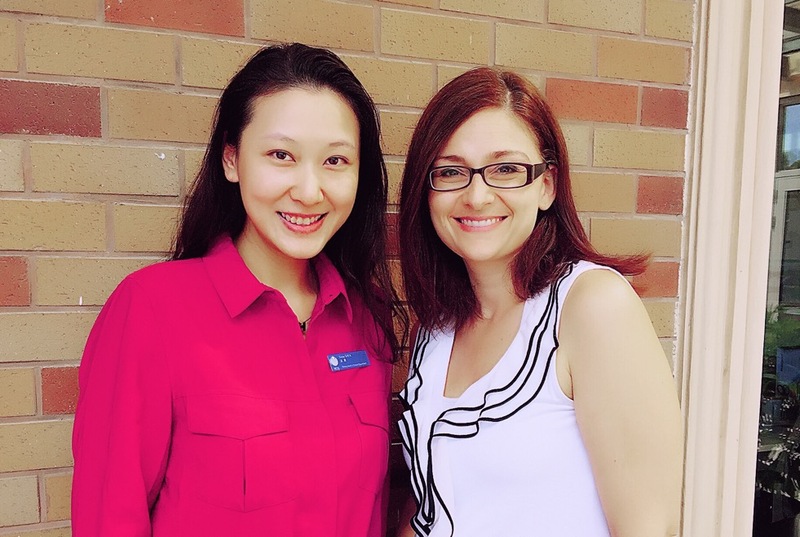 This year at YCIS, the school has appointed Ms Melissa Shaw, who is also our Primary Curriculum Coordinator and Ms Sissy Shen, our Primary Head of Chinese to lead Staff Professional Development. Their role as Professional Development (PD) Coordinators is to work collaboratively with Campus Leaders in providing and supporting teachers with opportunities to develop their knowledge and skills related to their personal and professional goals, as well as whole school initiatives. In recent years, the opportunity for professional development has grown dramatically within China and the Asia Pacific region. Teachers have many opportunities to attend training on a variety of topics and learn from experts on current, research-based best practices in education. 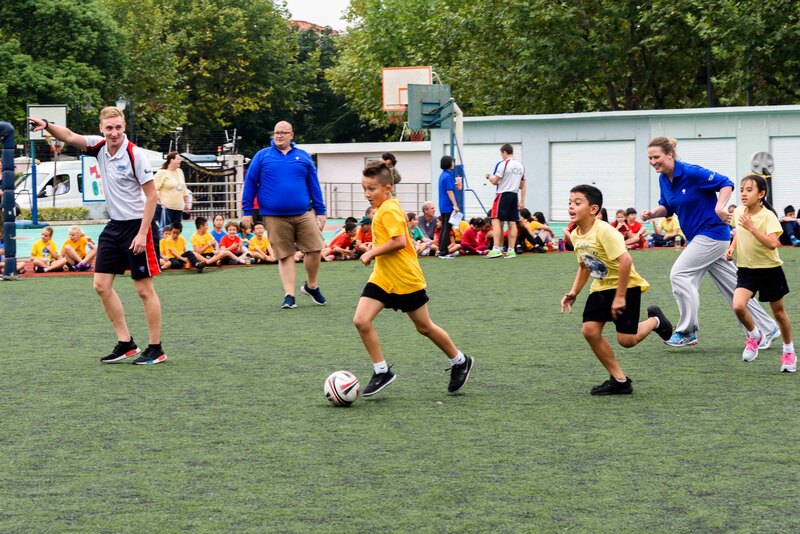 We place great importance on affording our teams the opportunity and the time to engage and collaborate in professional dialogue and activities within the school. The School’s aim is to create a professional learning community where teachers participate in purposeful dialogue between each other and with their teams that focuses on both teaching and learning. 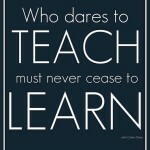 A great example of this was the initiation of afternoon PD Sessions. Last year the school successfully organised a series of Monday PD Sessions, which invited teachers to present smaller workshops for all teaching and non-teaching staff. This year, the first semester is already scheduled with a variety of sessions on offer. 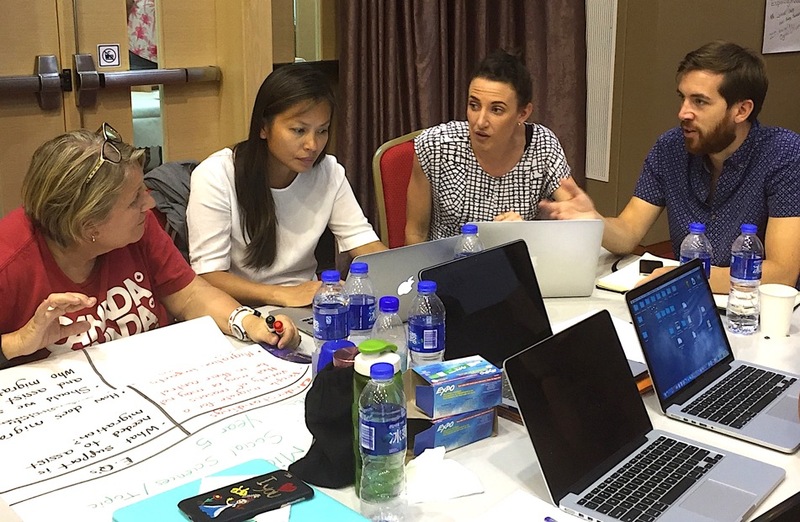 This ‘forum’ encourages teachers having attended specific training, the opportunity to share key ideas and concepts learned and how they have implemented this into their own practice. It also encourages teaching staff with specialised skills to offer training. Developing a culture of continued professional learning allows us to support student learning, which is at the heart of everything we do at YCIS. This saying could not possibly be any more true when it comes to the new playground. 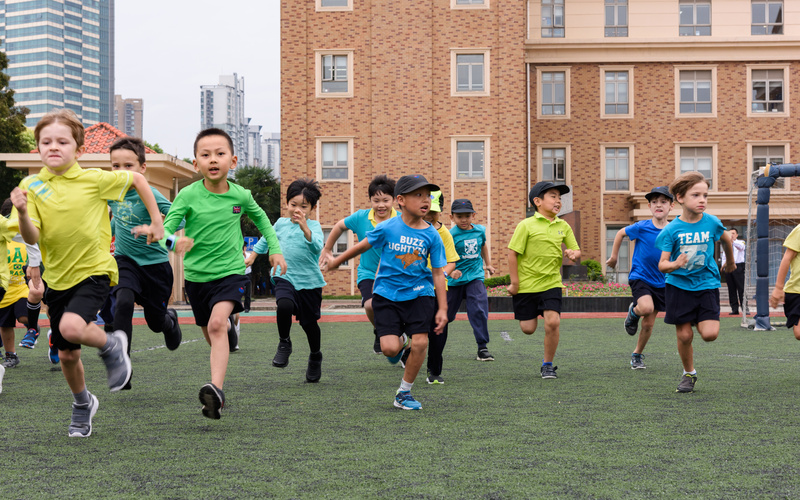 The level of excitement was so high on the Monday after the holiday, when the first recess bell rang and the race was on to land on the structure. This enthusiasm continued all week and was renewed when the final piece, the pyramid, was completed this week. 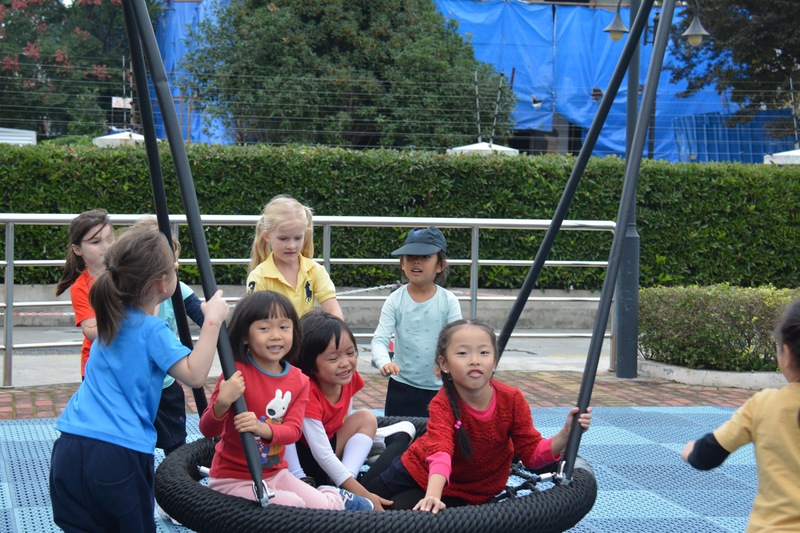 As we walked around the playground, many of the children came up to us saying how happy they were that they had this new playground. 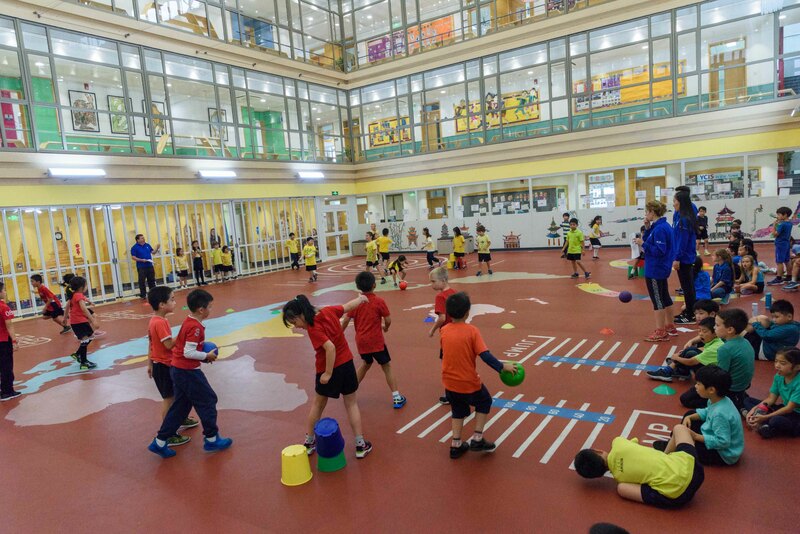 The different pieces of equipment were carefully chosen to be both challenging and engaging for the students; developing their gross motor skills, confidence, balance and strength. 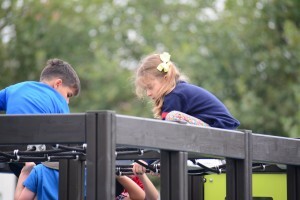 The play structure also assists children in developing social skills as the students learn to take turns, work together and consider the safety of those around them. The playground structure is far more than just a place to play, it a holistic learning experience. 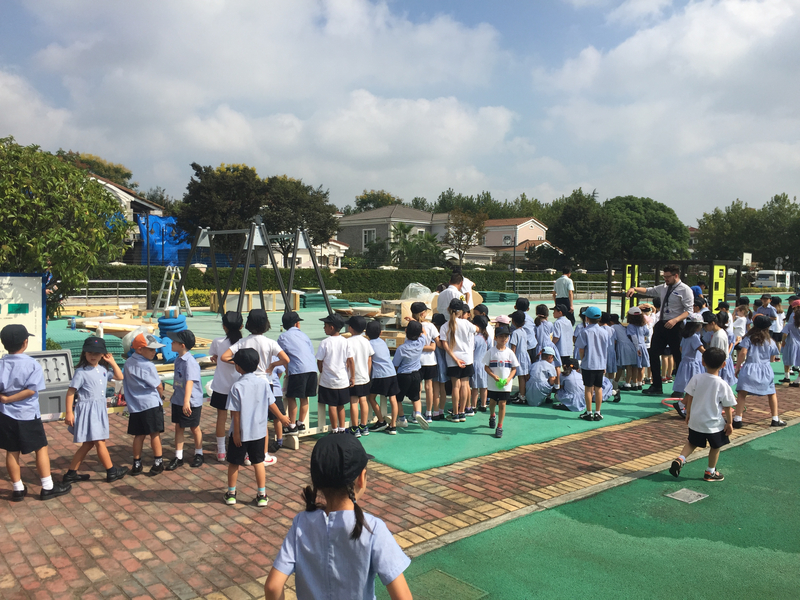 The Year 6s were able to use the playground on Founder’s Day and the Early Childhood children are making good use of the equipment as well. 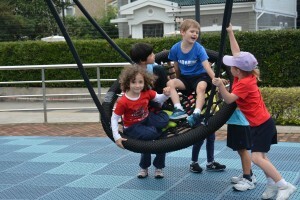 The playground is for everyone – we even saw some teachers and parents who wanted to try it out. We have been happy to see the parents and guardians allowing their children to use the play structure after school as it is a good community resource for our families. However, we do need to work together to ensure the rules are followed and that the responsibility of safety and supervision is shared by our parent community. 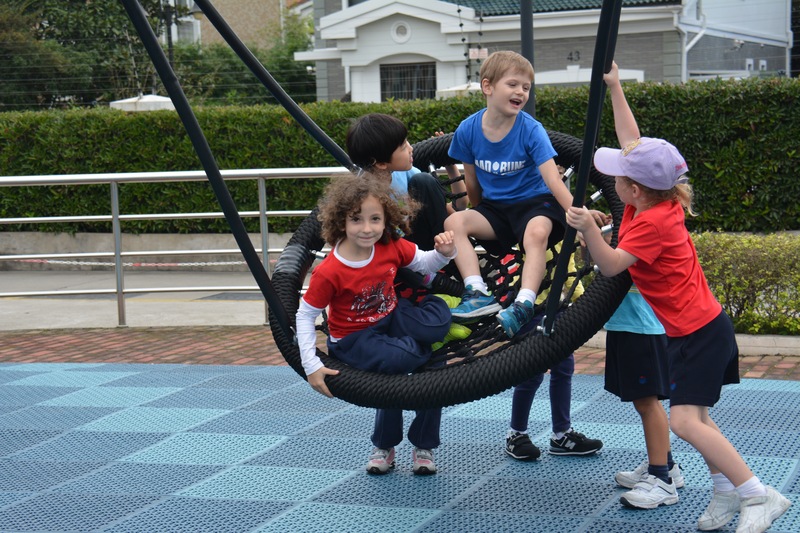 The safety of the children is always our number one priority, and following the safety rules will help keep the playground safe. Have fun! 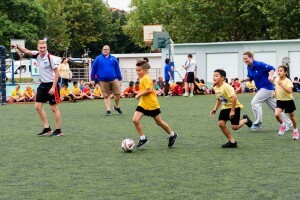 Facilitating leadership skills is an important aspect of the YCIS Philosophy and Objectives. 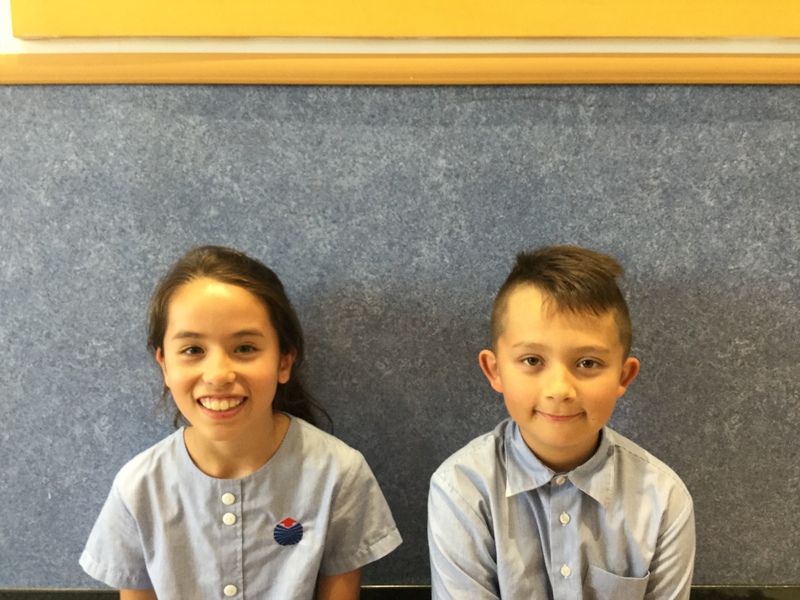 We recently held elections and Student Council representatives have been selected in each class by their peers. Over the course of the year, the Student Council will meet to suggest and discuss improvements and develop initiatives for the school. 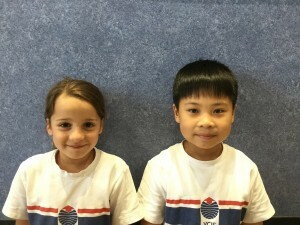 Part of their responsibilities includes passing information back and forth between teachers and students. 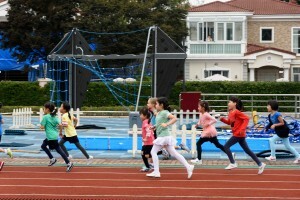 Past projects have included initiating a Spirit Day and suggestion boxes in classrooms. Y3A Justin – I want to help others and help teachers be happy when they’re teaching. Y3A Danielle – I knew Student Council was a big job and I thought I could be responsible enough to handle it. Y3B Paul – I will be good on student council because I perform a lot. 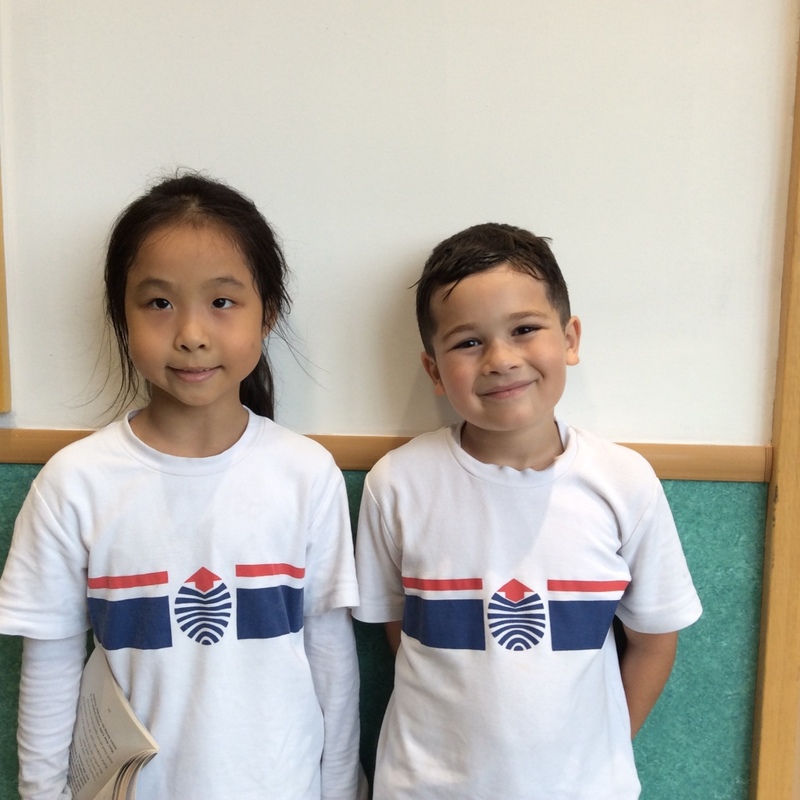 Y3B Margaux – I will set a good example and to help everyone have the best school experience. 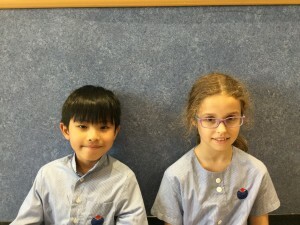 Y3C Emma – I want the school to be a better place. I’d like to have more PE classes and more field trips. 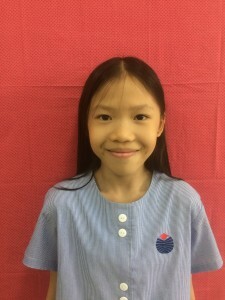 Y3C Dong Ying – I’m looking forward to helping to grant the wishes of my classmates. 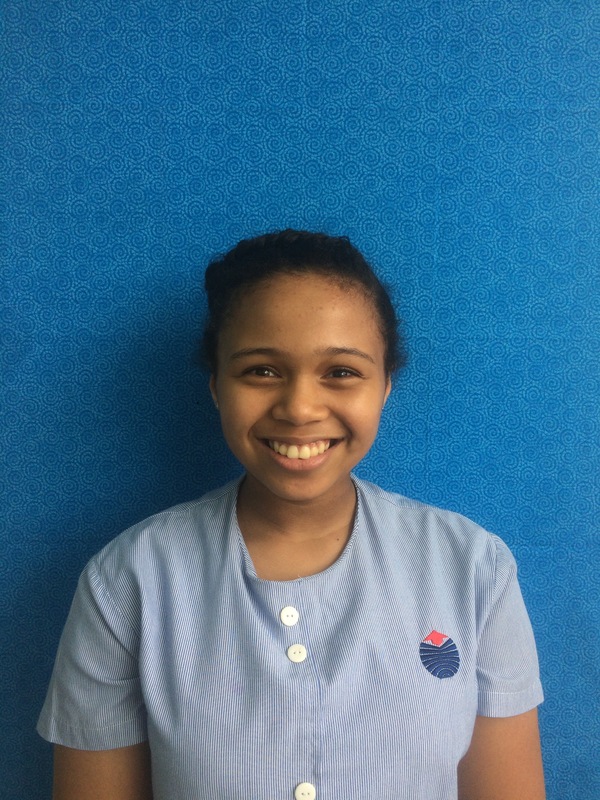 Y3D Sophia – I want the school to be better and to help students get things they will like. 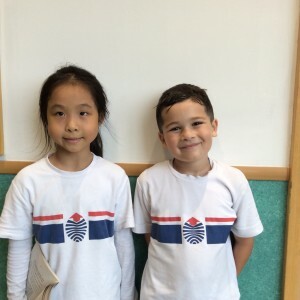 Y3D Kohen – I’m interested in changing the school to be a better place. I want to make the school friendlier. Y4A Adison – I’m responsible and will help remind students to wash their hands before lunch and snack. 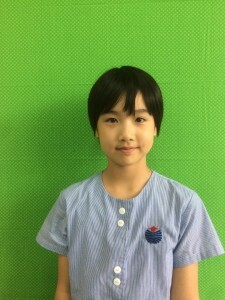 Y4A Sungwoo – I want to help the school become more eco-friendly. We can use products from trees more carefully and cut down on electricity. 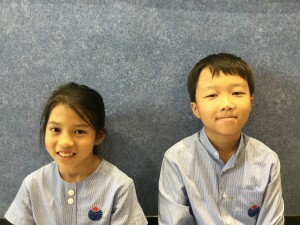 Y4B Natalie – I’m excited to take the good ideas from my classmates to my teachers. 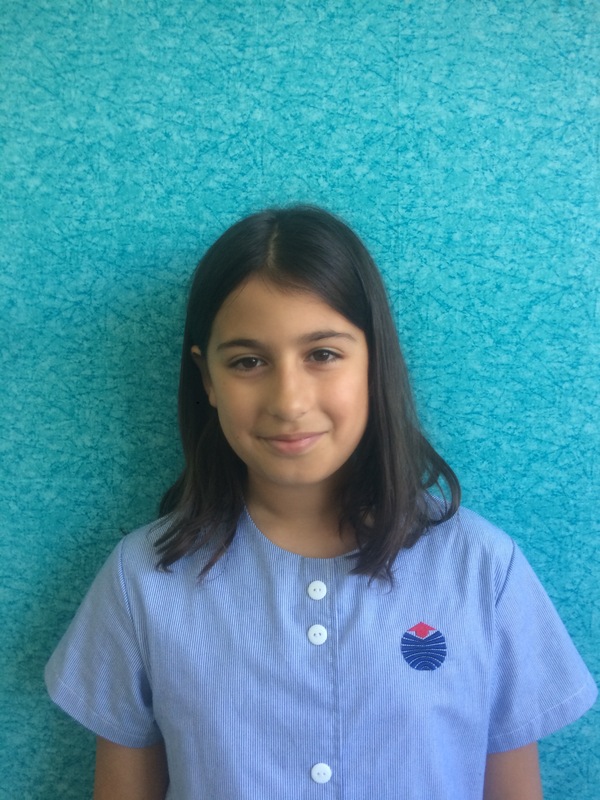 Y4B Sammy – I’m interested in the Global Goals, especially helping to conserve water. 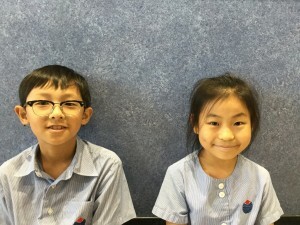 Y4C Eli – I want to think of ways to encourage students to read more. 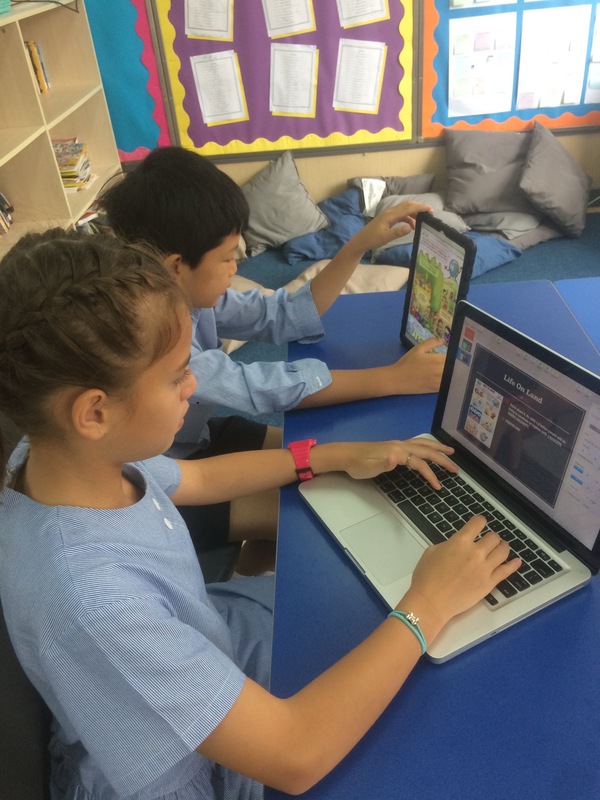 Y4C Brenda – I’d like students to spend more time in the Library. Maybe we can get more books or make the Library more inviting. Y4D Antonio – I have some ideas about improving the school uniform. 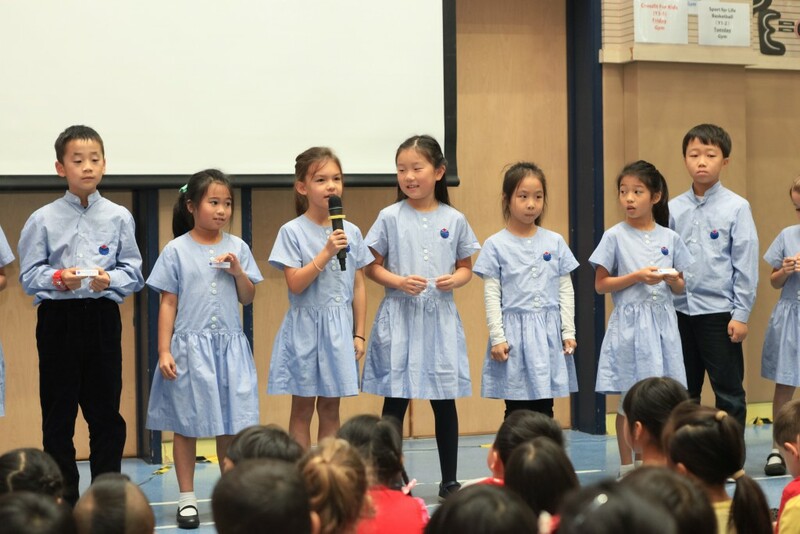 Y4D Jodie – I’d like to design a better school uniform for girls to wear in the winter time. Y5A Miguel – I think we can find a way to collect food and donate it to people who are hungry. 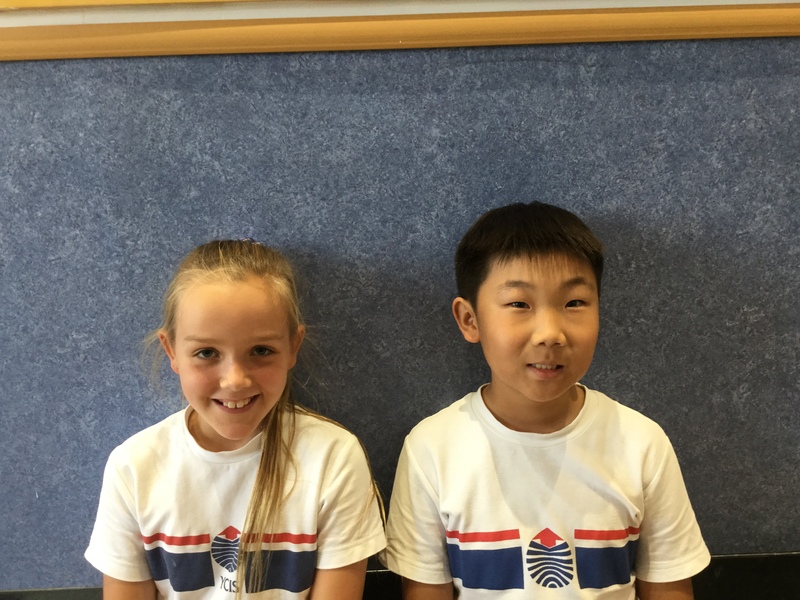 Y5A Elizabeth – I’ll be great on Student Council because I set a good example for others with my behaviour, character and learning attitude. Y5A Emmanuel – I will be a good Student Council representative because I’m very responsible. 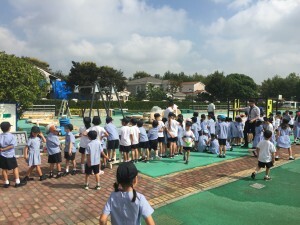 Y5B Nina – I think we could use a larger shaded area in the playground so children can play outside without being in the sun. 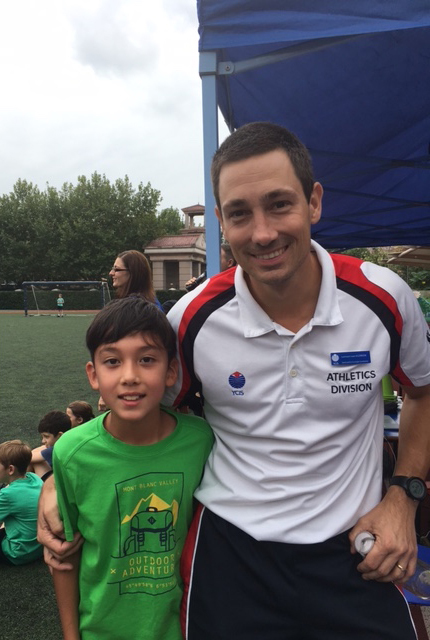 Y5B Leo – I’m approachable so I will be able to take student ideas to the teachers. 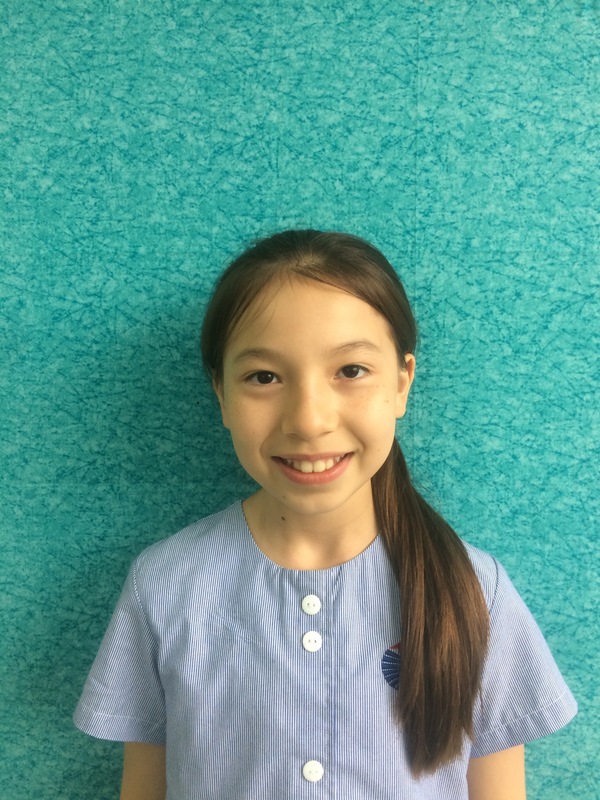 Y5C Julia – I’m going to make a good Student Council representative because I’m positive and considerate. 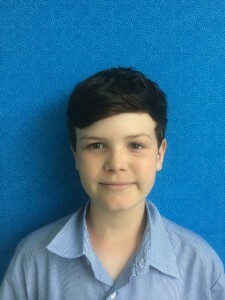 Y5C Logan – I’m excited for Student Council because I love to help others. Y6A Skylah-Rose – I’d like to have some events that can help donate money to lots of charities. For example, we could have bake sales every two months. Y6A Yilin – While I’m in Student Council, I’d like to improve some school events. For example, we could update some of the events during Charity Week to make them new and exciting. Y6B Hui Lim – While I am on the Student Council, I’d like to hear suggestions from students and to make school a fun learning place for all students. Y6B Bryce – I’d like to help the ideas and concerns of my fellow classmates be heard. My goal is to help students’ experiences at school be the best they can be. Y6C Jaymee – I’m excited because I’d like to include more options in the cafeteria. I would also like to have more activities related to the environment. Y6C Alana – I would like to bring the ideas of my classmates to my teachers so that they are heard. 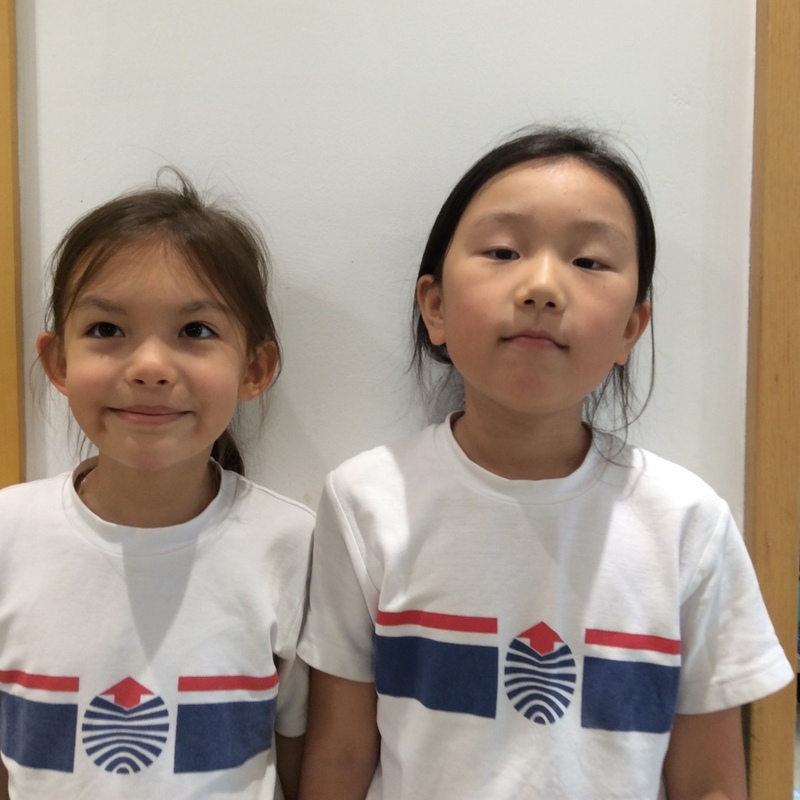 In the world that our children are growing up in, it is becoming increasingly important for our students to be globally minded and to begin thinking about the world beyond their own communities. 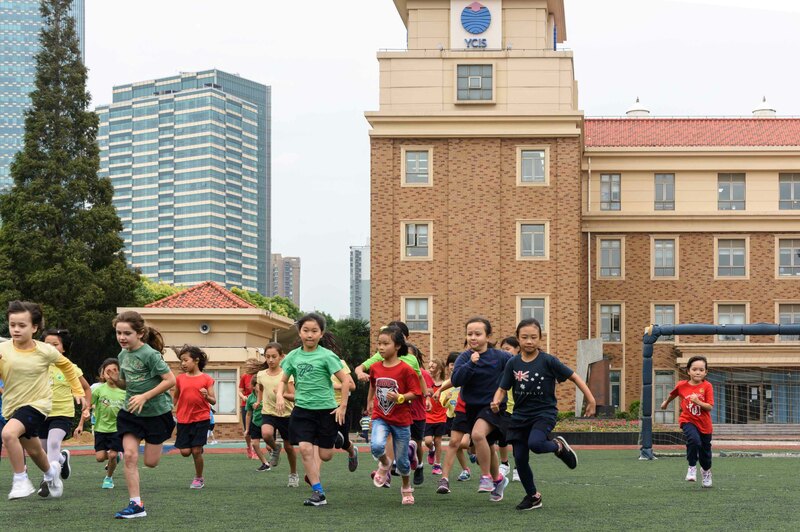 In order to facilitate this, we introduced the Primary students to the 17 Global Goals of Sustainable Development, which have been developed by the United Nations. 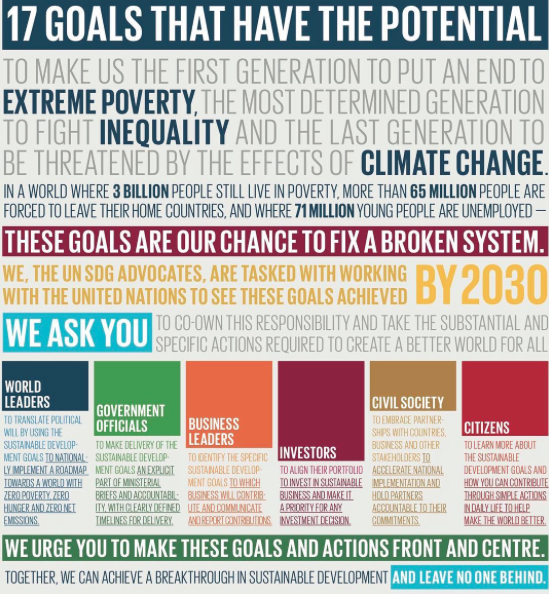 These goals include targets such as No Poverty, Zero Hunger, Quality Education and Climate Action to name but a few. The Year 5 students have been linking the Global Goals with their own English and Mathematics curriculum. 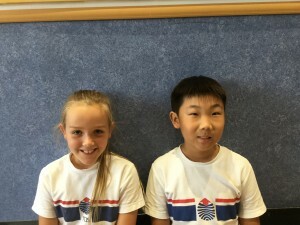 ◦ Report Writing – The Year 5 students have been ‘invited’ to attend the G20 World Leaders’ Meeting and that they had to write a report about a Global Goal of their choice to submit to the panel. 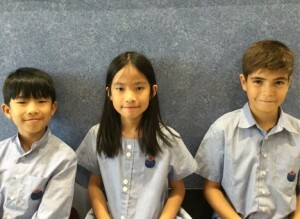 ◦ Data Handling – The Year 5 students have been appointed as the environmental ministers, and the President has asked them to create a draft to show evidence of climate change to report to the G20 summit. However, they must ensure they include a frequency table, line graph and answer a set of related questions about their data. 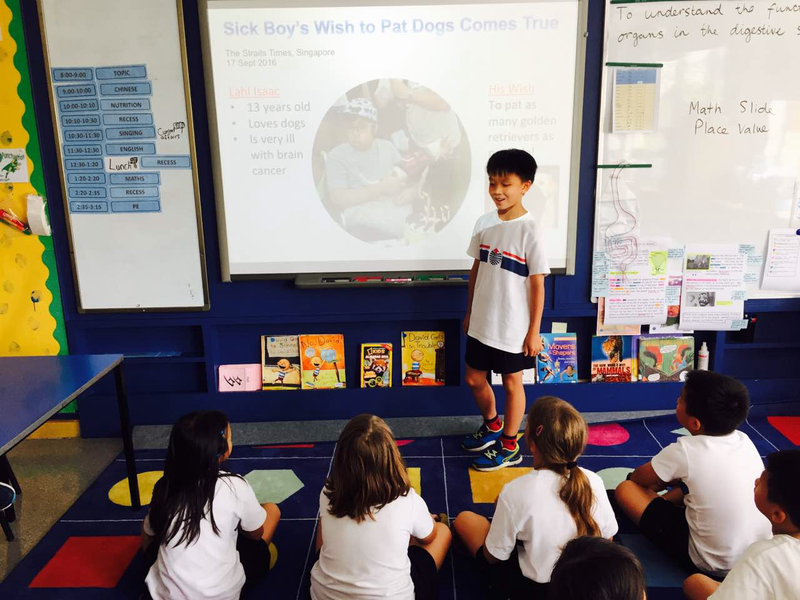 The Year 4 students have decided to incorporate the Global Goals into their Current Affairs presentations. 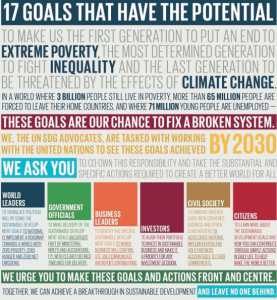 Students will find an article that relates to one of the Global Goals that they feel is really important. 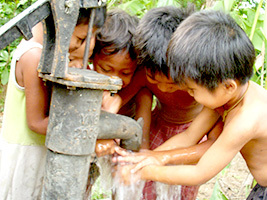 want to experience some of the hardships children in other parts of the world are exposed to in order to obtain clean water. 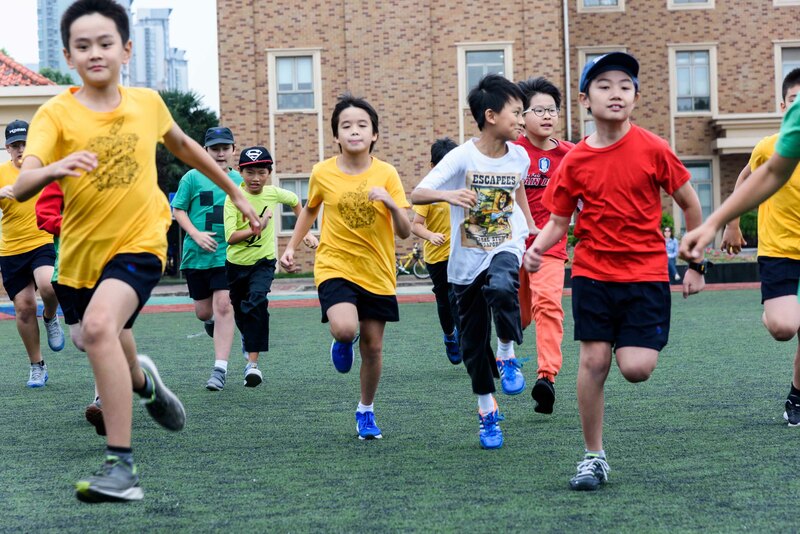 They are planning a trip to Century Park where students will be sponsored to walk certain distances to reflect how far children around the world walk for water. 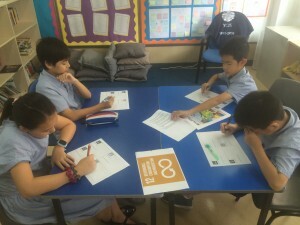 The Year 2 students were particularly interested in Global Goal 12: ‘Responsible Production and Consumption’. They will link it into their unit ‘Circle of Life’. 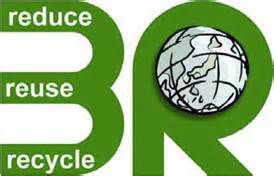 To place it into context, the Year 2 students will then see how this goal relates to their own lives, in particular to their own habits relating to the Three Rs – Reduce, Reuse and Recycle. 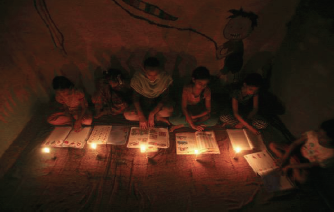 The Year 1 students wanted to actually help the children in other countries that do not have electricity, and have decided to assemble their own lights to send to children in Rwanda or Uganda, through the charity ‘Solar Buddy Project’. Through these projects, we have realised that there is so much that we can do to help achieve these goals. Being a Global Citizen is not just learning about the issues around the world, but it is also related to connecting with others, thinking about what we can do and then taking action to make a difference. And what better place to start this journey than here at school? 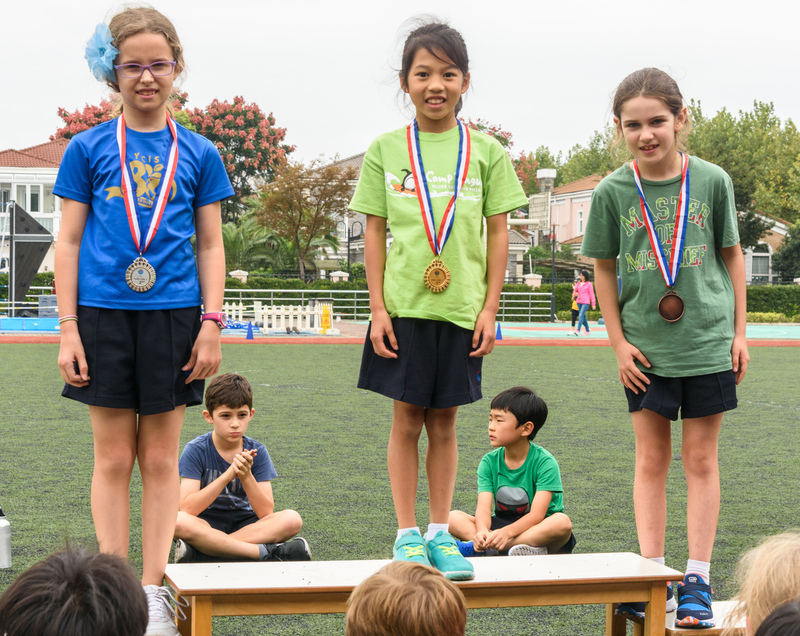 To help encourage and reward students for their global action, the Co-Principals’ Global Child Award has been established. 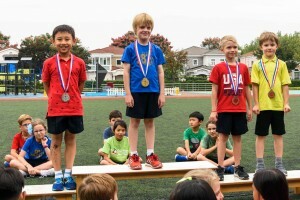 The very first awardees were presented with their certificates at the whole school assembly last week on Founders Day. To read more about the award, click here.